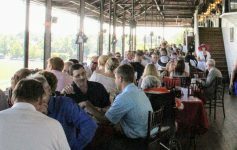 The National Museum of Racing and Hall of Fame invites you to a Travers Stakes Preview. 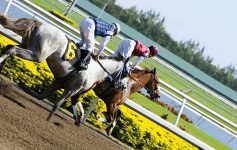 Read on to learn more about the special event, then get ready for the biggest race of the summer meet: this Saturday’s Travers Stakes! Beginning at 11 AM on Wednesday, August 22, the preview will feature a Q&A with two horseracing experts. 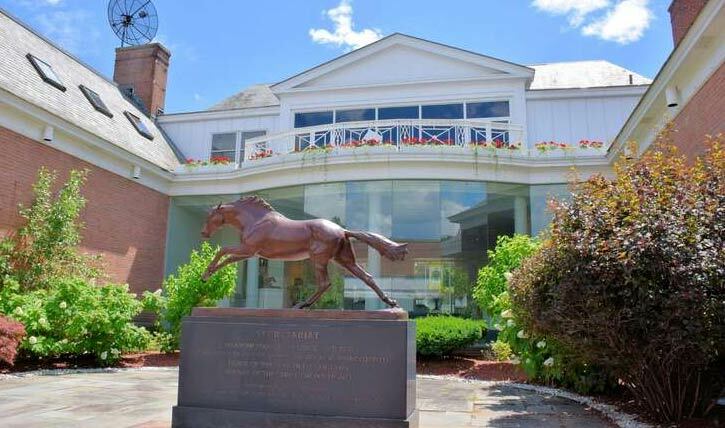 Museum Hall of Fame and Communications Director Brien Bouyea and award-winning journalist and former OTB-TV host Michael Veitch will analyze this year’s field, getting you ready for the 149th running of the Travers Stakes on August 25. Before joining the Museum in 2010, Bouyea worked as the executive sports editor of The Saratogian and The Pink Sheet. Over his impressive career, he has won several national and New York Associated Press journalism honors, and in 2016, published his book Bare Knuckles and Saratoga Racing: The Remarkable Life of John Morrissey. According to the Museum, Bouyea led The Pink Sheet‘s Saratoga handicappers in wins twice during his tenure with the paper. Covering thoroughbred racing for The Saratogian and The Pink Sheet from 1979 to 2017, Veitch certainly knows his way around the track as well. He has written two books on Saratoga Racing, Foundations of Fame and Summit of Champions, and has written for publications like Daily Racing Form. Last year, Veitch was selected for the Museum’s Joe Hirsch Media Roll of Honor. He now serves as chairman of the Hall of Fame Historic Review Committee. All members of the public are welcome to attend the preview, which is free with paid Museum admission. And don’t forget that Travers is August 25! 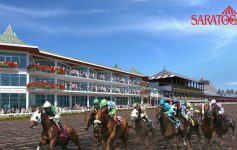 The Grade 1, $1.25 million stakes is expected to include some amazing thoroughbreds, including Haskell Invitational winner Good Magic, Queen’s Plate winner Wonder Gadot, and Jim Dandy winner Tenfold. Have you grabbed your tickets yet?